There is general agreement that customized content can improve attitudes toward media content. This is certainly of interest to content creators as this a way to appeal to users. In the context of video games, research into customization has echoed existing customization research (e.g., Fox & Bailenson, 2009; Lee, Luchini, Michael, Norris & Soloway, 2004; Lim, 2006; Schmierbach, Limperos & Woolley, 2012; Teng, 2010). That is, customized content has benefits over generic content specifically when the users can customize appearance (Bailey, Wise & Bolls, 2009; Kim & Sundar, 2012; Trepte & Reinecke, 2010). Less is known, however, about different types of customization. One such type of customization is ability customization –or choosing what one can or cannot do within a media space. The studies presented in this article aim to parse the role of appearance and ability customization in video game play and how different customization types impact players’ attitudes through feelings of identification and authorship. This, in turn, should inform media practices such that it provides information on how—and how not—to design media content with respect to customization. Broadly, customization positively influences attitudes toward content (Ansari & Mela, 2003; Kalyanaraman & Sundar, 2006; Kamali & Loker, 2002) but how exactly this is happening has yet to be fully explored. Customization is defined as individualized content, as opposed to generic content, (Kalyanaraman & Sundar, 2006; Wheeler, DeMarree, & Petty, 2008; Wheeler, Petty, & Bizer, 2005) that caters to “some aspect of the self” (Briñol & Petty, 2006, p. 583). In other words, customized content is unique to a single audience member while generic content is for a broad audience. Typically, traditional media can be understood as generic content while new media has more capabilities to be customized because of user control. Given that customization relates to “some aspect of the self” (Briñol & Petty, 2006, p. 583), the current studies argue that appearance customization and ability customization relate to the self differentially. Specifically, these studies suggest that self-awareness is activated differently based on appearance customization as opposed to ability customization. Baumeister (1998) as well as Kim and Sundar (2012) indicate that the role of the self and awareness of the self might be critical to the influence of customization. In other words, those customizing appearance are doing so visibly and publicly, thus they are aware of how the avatar looks and how it will be perceived based on its appearance. 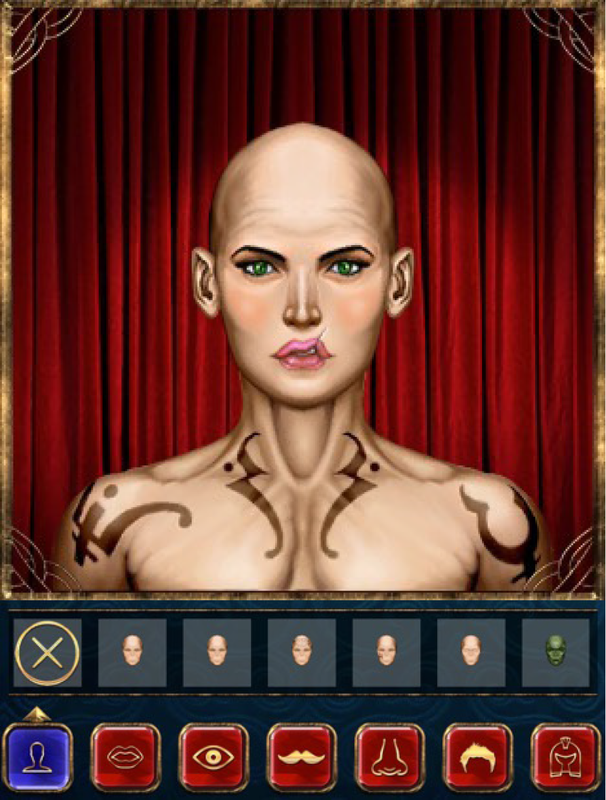 Since appearance frequently has no bearing on game play, the user is free to make the avatar look however the he or she wants it to look without consequence in play. Conversely, when one is customizing his or her abilities, his or her awareness will be focused on the character’s function within the game. That is, a player will be more attuned to what will be needed to succeed in the game rather than cosmetic appearance. The activation of these frameworks should differentially impact attitude toward content and thus, should be of importance to content creators. Despite this apparent distinction, the difference between ability customization and appearance customization for video game avatars has not been sufficiently parsed. The remainder of this study aims to do so. The role of identity in customization is noteworthy given the extant research on the relationship between player and video game avatars. Video game players tend to have close relationships with their avatars and players tend to adopt behaviors consistent with the avatar they are using (Yee & Bailenson, 2007; Yee, Bailenson, & Ducheneaut, 2009). In these studies from Yee and Bailenson, people using attractive avatars tended to exhibit more behaviors typical of an attractive person in the virtual space than those using an unattractive avatar. Similarly, someone using an avatar that was a doctor demonstrated more altruistic behaviors than those not using a doctor avatar (Peña, Hancock, & Merola, 2009). The idea is that the avatar used will cue certain ideas and behaviors and then the person controlling that avatar will begin to think and act in ways that are in accordance with what is expected of the avatar. This relationship has been referred to as a “psychological merger” between player and avatar (Klimmt, Hefner, & Vorderer, 2009). In other words, the player and the avatar become one where the player impacts the avatar and the avatar simultaneously impacts the player. Some researchers have argued that avatars and identity are inextricably linked (Cheong & Gray, 2011; Gray, 2012) and the strength of identity in an avatar allows users to tour different demographics (Nakamura, 2013, p. xv). Thus, there is a profound connection that users feel with their avatars. Meanwhile, identification is defined as how an audience member relates to a media character to the extent that the audience member assumes the role of a media character (Cohen, 2001). “Identifying with a character provides a point of view on the plot; it leads to an understanding of character motivations, an investment in the outcome of events, and a sense of intimacy and emotional connection with a character” (Cohen, 2006, p.184). Users engage their imagination to feel like they are part of the media world. In traditional media, this would be seen in something like feeling empathy for a main character in a book or movie. In video games, this would be a connection to the character that the player is using. While there have been different definitions of identification, Hoffner and Buchanan (2005) found that there are several commonalities among all definitions: the audience member feeling a connection with another, the audience member finds similarities with the other and elements of the other are incorporated into the concept of self. Within video games, identification with an avatar is critical to the user experience (Kim, Lee, & Kang, 2012). FMRI (functional magnetic resonance imaging) data reinforces this relationship (Leménageret al., 2014) and players even want to be like their characters (Smahel, Blinka, & Ledabyl, 2008). Expanding on this, identification is impacted by social and psychological distance between the viewer and character (Cohen, 2006). Consequently, identification can be facilitated by similarities between the audience member and the character. The psychological merger between avatar and player can be understood as a form of identification. Customization by decreasing the distance between player and avatar, then, likely increases the degree of similarity between the player and the avatar, therefore increasing the likelihood identification. In one study, when the avatar was made to resembles the player, it led to greater feelings of identification with the avatar (Williams, 2010). In summary, when one can customize an avatar to his or her preference, the avatar will have more connections to the player and thus will enhance identification. Beyond this, identification with media characters is a known correlate of media enjoyment (Trepte & Reinecke, 2010; Wolfendale, 2006). Taken in conjunction, customization should increase identification, and then identification should increase enjoyment. The current studies suggest that customization will enhance identification and that identification will improve attitudes toward the game as well as likelihood of spending money on the game through microtransactions. Whether or not appearance or ability customization is more influential on identification remains unknown. There is a bit of evidence that appearance customization is influential in video games (Bailey et al, 2009; Schmierbach et al., 2012). The current studies argue that appearance customization allows for clearer similarities between player and avatar and thus enhances feelings of identification. Users tend to identify with characters when they find commonality between themselves and the avatar. If a user is able to customize an avatar to their preferences, this commonality should encourage identification. From a practical perspective, the way in which the character is presented by content creators also impacts identification (Cohen, 2006). Content creators should be invested in creating characters that users can identify with. This will lead to improved attitudes toward content as well as money spent on the game–both of which should be goals for content creators. Players might not identify with avatars when the ability customization is more salient. In this instance, customization might confer feelings of authorship instead of identification. Schreier (2006) argued that authorship is the idea of having completed a task by oneself. Schreier goes on to describe a 500-piece jigsaw puzzle which could be enjoyable to put together, but that process does not describe the feeling one has when that puzzle is completed. The completed puzzle feels like it has been authored. This is a positive feeling that transcends the act itself. Schreier also suggested that this is the same reason why some artists may have psychological challenges in selling their work. In this vein, authorship is tied to the positive emotion of pride. Schreier explained the underpinnings of authorship through a few existing theoretical notions. His argument can be summarized with several key points: pride and investment. There is a pride in competently and effectively completing a task and reaping the rewards (Lea & Webley, 1997; Weiner,1985). There is also investment into objects that one spends time and effort on. If someone has customized their automobile, that automobile will become part of the extended self and if the automobile is damaged, it will be wounding to the owner as well (Belk, 1988). Ultimately, when the user creates or alters a product, or customizes it, the more the user feels like an author of that product. This feeling confers certain positive emotions to the user/author. This notion can be extended to video games. Importantly, feelings of authorship will lead to greater perceived value of the avatar and the game containing the avatar (Franke, Schreier, & Kaiser 2010). This prediction draws on the “I designed it myself” effect (Franke et al., 2010). Under this model, the user creates or alters a product, or customizes it, based on his or her preferences. Then, the more a product fits the user’s preferences the more the user feels like an author of that product. If identification is not explaining the appeal of avatar customization, then the “I designed it myself” effect might because players likely feel like the author of their avatar. When a user feels that his or her decisions impact the affordances of an item, then they should feel that they have helped to define that item (Apperley, 2006; Juul, 2011; Wyche & Steinfield, 2015). Franke et al. (2010) identified a few key components related to the “I designed it myself” effect: creation, alteration, and investment. Users will feel like the author of a project when they have created or generated it, alter or change it in some meaningful way, and/or feel that they have invested themselves into the product. All of this amounts to greater personal and monetary value of the customized product. Indeed, this effect is believed to confer greater value than comparable “off the shelf” items (Franke et al. 2010). Much of this literature is couched in consumer behavior or economics research and therefore should be interpreted with an eye toward how this might be used for monetization. The current studies argue that enhanced feelings of authorship are likely connected to ability customization. Since ability and authorship overlap conceptually in relation to task completion and effort, the authors believe that ability ownership will reflect feelings of authorship. This study examines attitudes toward games as well as the viability of microtransactions within those games. Online purchases and e-commerce have become major markets deserving attention from empirical research. One major area of these markets is micropayments. Micropayments are typically understood as minor online purchases, around $12 (Paypal, 2014) or minor entertainment purchases such as downloadable music, games and movies (Gedda, 2010). In video games, these sorts of micropayments are often referred to as microtransactions. Within the world of online gaming, microtransactions can take many forms, like buying virtual pets in World of Warcraft (Funk, 2009b), extra armor for your avatar (Ransom-Wiley, 2006), additional game play opportunities (Brudvig, 2009) and even subscriptions fees to pay for access to play online (Funk, 2009a). In short, this area has become a major boon for companies to make money as they provided more opportunities for consumers to spend. In one year, video game company EA made over $1 billion in microtransactions (Thier, 2016). Where game creators used to only make money from an initial game’s sale, microtransactions open many more opportunities for content creators to earn. As described previously, users are more likely to use or purchase customized products (Celsi & Olson, 1988; Kamali & Loker, 2002; Valenzuela & Dhar, 2004). Franke et al. (2010) argued that relative value is added to a product when the consumer participates in the design process. The previously discussed “I designed it myself” effect means that a consumer will place a higher value on a product when they are involved in the creation or customization of that product. Often, this results in consumers willing to buy or pay more for a product. Understanding of the psychology underpinning microtransactions is important because of the increasing trend in digital distribution systems as well as the increasing ubiquity of microtransactions. These studies should help practitioners understand how to best implement them. Based on this, these studies analyze how avatar customization might encourage players to make microtransactions as well as how customization impacts user attitudes. H1: There will be a difference in users’ attitudes toward the game and likelihood of making a microtransaction dependent upon their customization condition (customizing appearance or ability). H2: The relationships between avatar appearance customization and likelihood of making a microtransaction as well as attitudes toward the game will be mediated by feelings of identification. H3: The relationships between avatar ability customization and likelihood of making a microtransaction as well as attitudes toward the game will be mediated by feelings of authorship. The researchers employed three 2×2 experiments to address the above hypotheses in different settings. In Study 1, 2 and 3, the researchers used a 2 (appearance customizability: low or high) x 2 (ability customizability: low or high) design. In each study, participants were randomly assigned to one of four customization conditions (high ability/high appearance, high ability/low appearance, low ability/low appearance, low ability/high appearance). After they interacted with the stimuli, they responded to a questionnaire assessing their opinions of the game and how much they would spend on it through microtransactions. The participants of the three experiments were college students from a large southern university. Specifically, they were recruited from a college sanctioned participant pool in which students participated in studies of their choice in order to receive credit for a separate course. Each experiment was similar in size and demographic. Experiment 1 included 147 students, with a demographic breakdown of mainly white (76.2%) females (83.0%) in their early 20s (M = 20.54, SD = 1.21). Experiment 2 consisted of 105 students, this group was mainly white (80.4%) females (76.6%) in their early 20s (M = 20.62, SD = 1.78). Experiment 3 had 142 participants, made up of mainly white (81.0%) females (78.8%) in their early 20s (M = 20.73, SD = .70). Overall, the sample played video games infrequently as most disagreed with the statement “I play video games often” (M = 2.01, SD = 1.84) on a scale from 1 to 9. As a result, this sample assesses a group that is not representative of video game players. However, this is useful because it shows how to reach audience members who might be less engaged with the content at the onset. Any data should be interpreted with this in mind. Upon entering the lab and consenting to participate, participants were told that they were designing an avatar for playing a new, open world, action-roleplaying game. In Kingdom of Griffon, gamers explore castle dungeons, magical forests and perilous caverns in pursuit of the “Griffon’s Talon,” an ancient magical artifact capable of saving the kingdom from a demonic army. The game was fictional, and participants never played this game in any condition. However, participants designed the avatar under the impression that they would play this game. Those in the high appearance customization condition were linked to a fantasy avatar editor which allowed participants to select gender, skin tone, facial features and hairstyle. See Figure 1 for an example of appearance customization. The customization options varied based on the feature selected. There were 12 options for skin tone, 34 options for hair style, 28 options for eyes, 33 options for nose and 46 options for mouth. This provided for a wide range of options for customization. Participants were not able to name the avatar. Those in the low appearance customization condition were given an avatar randomly generated from the avatar editor. Those in the high ability customization condition were given 15 “skill points” that they could distribute as they saw fit into three categories: strength, agility, and intelligence. See Figure 2. A participant could make a character who was very strong but not intelligent or one who was quick and smart but weak, for example. Notably, these points are somewhat arbitrary as participants never played the game, but they selected these points assuming that they would play the game and these points would impact play. In many games, these attributes impact what characters can and cannot do. For example, in Dark Souls (a popular action role-playing game) characters who are low in intelligence cannot use magical spells while those who are low in strength cannot use heavier weapons. Thus, these traits influence the abilities that players have in a game. Those in the low ability customization condition had their skill points randomly assigned. After creating the avatar, players were directed to a questionnaire where they responded to each of the measures detailed above. Analysis showed that customization did not impact the outcome variables. However, a preliminary MANOVA revealed a significant impact of customization on the potential mediators: identification and authorship. This analysis revealed a multivariate effect of ability customization, F(4, 138) = 5.38, p < .001, Wilks’ Λ = .86, ηp2 = .13, and appearance customization, F(4, 138) = 36.84, p < .001, Wilks’ Λ = .48, ηp2 = .52. There were also significant interaction effects F(4, 138) = 3.41, p < .05, Wilks’ Λ = .91, ηp2 = .09. Those in the appearance customization condition felt more authorship than those in the no appearance customization condition, F(1, 138) = 117.52, p < .001, ηp2 = .45. The same pattern emerged for identification, F(1, 138) = 13.48, p < .001, ηp2 = .09. Appearance customization positively impacted authorship (high M = 5.12, SD = 1.76; low M = 2.17, SD = 1.66) and identification (high M = 3.42, SD = 1.91; low M = 2.30, SD = 1.72). Ability customization only had an impact on authorship (high M = 4.17, SD = 2.16; low M = 3.12, SD = 2.25). The significant interaction effects were for authorship, F(1, 138) = 9.76, p < .01, ηp2 = .06. Those with no customization reported the lowest feelings of authorship (M = 1.37, SD = .67), then those only customizing ability M = 3.09, SD = 1.97. Those allowed to customize both appearance and ability M = 5.12, SD = 1.76 reported the highest feelings of authorship and this was similar to those who only had appearance customization M = 5.09, SD = 1.69. Next the PROCESS macro (Hayes, 2015) was used to test the role of potential mediating variables, identification and authorship, on attitude toward the game and likelihood of making a microtransaction – as assessed by the microtransaction measures described above. In other words, the PROCESS macro shows how the experimental condition leads to feelings of authorship and identification, then it tests how those feelings lead to perceptions of the game. Model 4 using 2,000 bootstrap samples and 95% CI, was used. There were no direct effects of customization on attitude. However, the indirect effects of appearance customization on attitude were significant via identification (point estimate = .91, Boot SE = .30, CI [.40, 1.55]). The same analysis was used with likelihood of making a microtransaction entered as the outcome variable and a similar pattern emerged. Appearance customization led to more identification, which led to a higher likelihood of making a microtransaction (point estimate = .61, Boot SE = .23, CI [.22, 1.18]). Notably, there were no effects of ability customization. Please note that this study does not provide evidence that any of these relationships are sustained and should be treated as such. In Study 1, identification was key to the findings but the study included no game play. Study 2 was designed to further probe the role of identity as a mediator and to examine the importance of game play in this process. This study included game play and used a non-human avatar to further test the role of identification. Upon entering the lab, participants played a researcher designed game that was a side scrolling platformer where players used the arrow keys on the keyboard and a mouse to control a pig’s movement. The object of the game was to jump over pitfalls and enemies while also bouncing a ball on the pig’s head/back. The game was called Spigtacular. Those in the high appearance customization condition could change the pig’s clothing (hat, glasses, etc. ), while those in the low appearance customization condition were given a randomly generated appearance. The appearance customization options in this game were limited to two items out of a set of six so as to limit the robust possibilities found in Study 1. Those in the high ability customization condition chose one unique ability (score multiplier, double jump, or extra lives and used a slider to select the pig’s movement speed). It is worth noting that these options are not equal and should impact factors in the experiment. However, this is the case with most, if not all, studies that allow user-control. By its nature, allowing for customization of stimulus will change the user experience to a degree though the game was designed to minimize this. The researchers’ belief is that the manipulation (customization) remains valid though attention should be paid to how choosing different options impacts other factors in the study. Indeed, customization would be meaningless if there was no difference between options. Those in the low ability customization condition had their unique ability and speed randomly assigned. After creating the avatar, and playing the game for two rounds or 15 minutes (whichever came first), players were directed to a questionnaire where they responded to each of the measures detailed above. There were no main effects of ability or appearance customization on attitude but there were interaction effects F(1, 104) = 5.57, p < .05, ηp2 = .05. Means and standard deviations are summarized below. Those allowed to customize their appearance and ability had the most positive attitudes toward the game (M = 4.00, SD = 1.48). Those who could not customize ability or appearance had the second highest (M = 3.68, SD = 1.72). Those who could customize their appearance but not ability had the second lowest (M = 3.11, SD = 1.51) and those who could not customize their appearance but could customize ability had the lowest (M = 3.10, SD = 1.72). Appearance customization significantly impacted likelihood of making a microtransaction F(1, 105) = 3.88, p < .05, ηp2 = .04 such that those who could customize their avatar’s appearance were more likely to make a microtransaction (M = 1.92, SD = 1.24) than those who could not (M = 1.52, SD = .71). There were also significant interaction effects, F(1, 105) = 4.19, p < .05, ηp2 = .04. Means and standard deviations are summarized below. Those allowed to customize their appearance and ability had the highest likelihood of making a microtransaction (M = 2.20, SD = 1.50). Those who could not customize ability or appearance had the second highest (M = 1.61, SD = .82). Those who could customize their appearance but not ability had the second lowest (M = 1.60, SD = .76) and those who could not customize their appearance but could customize ability had the lowest (M = 1.42, SD = .57). Appearance customization and ability customization were entered as independent factors and authorship and identification were entered as dependent variables in a MANOVA. This analysis revealed a multivariate effect of appearance, F(4, 98) = 8.57, p < .001, Wilks’ Λ = .74, ηp2 = .26 but no effects of ability customization nor significant interaction effects. The ANOVA results associated with this analysis are summarized in Table 1. There were also significant interaction effects for authorship, F(1, 138) = 9.76, p < .01, ηp2 = .06. Table 1: Summary of means and F values for appearance customization on potential mediating variables. Note: Higher scores indicate more positive perceptions, *p < .001, **p < .01. The same set up for the PROCESS macro was used here as in Study 1. There were no direct effects of either independent vari- able on attitude. However, the indirect effects via identification for appearance customization on attitude were significant when users also had the ability to customize abilities (point estimate = .87, Boot SE = .18, CI [.34, 1.66]). With likelihood of making a microtransaction entered as the outcome variable, there were no direct effects but appearance customization led to more identifica- tion which led to a higher likelihood of making a microtransaction when users also could customize avatar ability (point estimate = .37, Boot SE = .61, CI [.13, .90]). The third and final study aimed to explore the tenuous findings for ability customization from Study 1 and Study 2. As such, Study 3 used a game that was difficult (the AI opponent was challenging and the controls would not be fully mastered by a new player) in the hopes of increasing the importance of ability customization in the experience. Upon entering the lab, participants played a soccer simulator—not designed by the researcher—in which players controlled an avatar from a top down view. The player was controlled with the mouse and keyboard. The controls were unique in that kicking a ball required the player to click and drag the mouse then click on the ball to adjust spin. The object of the game was to win the soccer match. Those in the high appearance customization condition could change the player’s skin tone and hair color. There were six options for each. Those in the low appearance customization condition were given a player with randomly selected skin tone and hair color. Those in the high ability customization condition assigned points to skills (speed, tackling, shooting, and passing). They had five points to assign as they saw fit. Those in the low ability customization condition had their skill points randomly assigned. Participants played one match which lasted a total of 15 minutes then players were directed to a questionnaire where they responded to each of the measures detailed above. There were no main effects of ability customization nor were there interaction effects but there was a main effect of appearance customization F(1, 140) = 12.79, p < .001, ηp2 = .08. Those allowed to customize their appearance had more positive attitudes toward the game (M = 2.76, SD = 1.64) than those who could not customize their appearance (M = 1.80, SD = .96). There were no significant effects when likelihood of making a microtransaction was entered as the dependent variable. A preliminary MANOVA was used to analyze mediation effects. This analysis revealed a multivariate effect of appearance customization, F(4, 98) = 8.57, p < .001, Wilks’ Λ = .74, ηp2 = .26, but no effects of ability customization nor significant interaction effects. The ANOVA results associated with this analysis are summarized in Table 2. Since ability had no impact on any dependent variables or potential mediators, it was dropped from subsequent analysis. Table 2: Summary of means and F values for appearance customization on potential mediating variables. Note: Higher scores indicate more positive perceptions, *p < .001. The same set up for the PROCESS macro from Study 1 and 2 was used for Study 3. The direct effects of customization on attitude disappeared during this analysis. However, the indirect effects via identification (point estimate = .55, Boot SE = .26, CI [.19, 1.24]) were significant. With likelihood of making a microtransaction entered as the outcome variable. The analysis revealed no main effect of customization on likelihood of making a microtransaction but there were indirect effects via identification (point estimate = .25, Boot SE = .16, CI [.01, .71]). This study utilized three experiments to explore how appearance and ability customization of avatars differentially impacts the user’s attitude towards a game and their likelihood of making a microtransaction associated with the game. The findings here have practical implications worth unpacking. Broadly, there is evidence that appearance customization has a different impact than ability customization in a few different scenarios. Likewise, customization can lead to higher perceptions of identification and authorship in certain circumstances. Then, identification, not authorship, led to both more positive attitudes toward the game and a higher likelihood of making a microtransaction. These findings should be considered by content creators. As the difference between appearance customization and ability customization was parsed, it was demonstrated that appearance customization was much more consistent in its effects, but it sometimes relied on ability customization to produce an effect. Appearance customization led to higher perceptions of identification which in turn led to more positive attitudes toward the game and a higher likelihood of making a microtransaction. Within video games the relationship between user and avatar is strengthened often because users assume the role of the avatar (Peña et al., 2009; Yee & Bailenson, 2007; Yee et al., 2009). Customization, broadly, had a positive impact on attitude toward the game and on likelihood of making a microtransaction – though the type of customization is important to consider. The results of H1 indicated that appearance customization and ability customization do not differ as much as previously thought in terms of main effects on attitude toward the game. In fact, neither type of customization impacted attitude toward the game. However, when working together—when players could customize appearance and ability—there was a significant effect. This suggests that each type of customization on its own was not enough to alter attitudes toward the game but both types of customization together could. This reflects a previous typology of customization where customization is not split by type but is split by degrees (Kalyanaraman & Sundar, 2006). Indeed, the player may have interpreted both appearance and ability customization as “more” customized than a player who could only customize appearance or ability. As such, this study offers support for existing research extolling the benefits of more customization and highlights the need for an understanding of the threshold for customization effects. When playing a game using a non-human avatar, appearance or ability customization alone were not enough to alter attitudes toward the game. Whether or not more robust customization in either domain would impact attitude toward the game is a relevant question that deserves further exploration. For practitioners looking to impact attitude and likelihood of making a microtransaction, it is currently, perhaps, more useful to think of customization in degrees as the distinction between types of customization still needs to be developed. However, when examining the effect of customization type on authorship and identification the effects were diverging. Appearance customization positively impacted authorship and identification while ability customization only had an impact on authorship. Appearance customization helps to facilitate the psychological merger between player and avatar (Klimmt et al., 2009). The look of the avatar seems to be a critical element for players to identify with the avatar. It is likely that the player can make the avatar look how they prefer or, more likely, match the avatar to him or herself as closely as possible. In doing so, the player creates commonality with the avatar and enhances feelings of identification. Importantly, these effects were found even when the game used a non-human avatar. In fact, people identified with a pig in one of the studies, an animal some may not want to identify with given its connotations as being dirty and overeating. We find it compelling that appearance customization can override this barrier to identification. Ability and appearance customization impacted feelings of authorship. This should not be surprising in the context of the Franke et al. (2010) study. Part of the “I designed it myself” effect indicates that when a person customizes an object, he or she will feel like the author of that object. Players felt like they were the authors of the avatar when they customized, and this feeling was magnified when the player could customize appearance and ability. Again, this emphasizes the degree, rather than the type, of customization used (Kalyanaraman & Sundar, 2006). In terms of H2, customization positively impacted attitude toward the game as well as likelihood of making a microtransaction via identification. Customization led to higher perceptions of identification, which in turn led to more positive attitudes toward the game and a greater likelihood of making a microtransaction. This finding corroborates existing entertainment research that suggests closer relationships with media characters results in more enjoyment of content (Cohen, 2001; Zillmann, 1996) and confirms that the act of customization helps facilitate this bond. H3 suggested that ability customization would function through authorship. This was not the case. The lack of findings related to ability customization might be explained by players’ desire for mastery. In other words, the ability to change abilities might be seen as a “cheat” to succeed in a game as opposed to becoming highly skilled. Often, games allow ability customization through experience gained by playing or by paying to unlock ability points. This “pay-to-win” model has been controversial in games like MLB The Show and Star Wars Battlefront 2 (Sarkar, 2018). This might have been perceived as bogus to the players who had not “earned” it and thus blunted the effects of ability customization. This phenomenon merits further exploration, especially for those interested in trends in the industry. Speaking of trends in the industry, these studies have several practical applications. On the most fundamental level, this shows how to more effectively monetize video games and how to create video games that appeal to audience members. In that vein, this study should inform the types of customization used in a variety of domains – use appearance customization. This is compelling because cosmetic customization is, in all likelihood, cheaper to execute than ability customization. Beyond aiding business models to become more profitable and appealing, this information can help with consumer education and help players understand their psychological states while playing and customizing. In turn, these findings should provide guidance on the design process to offer simple and cost-effective methods to improve sales and attitudes toward content. This is helpful for a variety of industries such as for-profit websites, non-profit organizations and the health communication industry. Like all social science research, these studies had several limitations. Participants’ gaming skill level may have varied greatly and might have influenced the results. Further, it is possible that some might dislike or become frustrated with certain game types based on their preferences. Also, many video games require hours of game play, but this experiment utilized a short amount of playtime. A different pattern might emerge with extended game play as the stimuli would become more impactful when the game is played for a longer length. The games used were not representative of games in general due to their experimental nature and should be interpreted as such. These studies only looked at specific types of games and certain types of customization. It would be worthwhile to continue exploring these effects in other venues. Another limitation is that, by its nature, experiments with user control introduce unequal experiences for participants. This could impact a variety of factors and should be considered as well. Since the participant pool was limited to primarily Caucasian, female college students, the results provide limited evidence and these studies should be replicated with a different sample. Finally, this study extolls the benefits of customization. The method described in this article could be built upon to measure degrees of customization to advance the understanding of a threshold for customization effects in future studies. Ultimately, this study suggests that there is difference between ability and appearance customization. We find that ability customization is not a viable way to reach audiences under these conditions–though it might be viable under others where users are more engaged. In terms of appearance customization, the effects were often contingent upon ability customization such that appearance customization only had an effect when players could also customize ability. This can be interpreted as customization being more influential when there is more of it as opposed to different types. We argue that the effects of different types of customization will manifest based on the salient conditions of the game. For example, if the game emphasizes narrative over play then appearance will likely be more influential than ability customization. Meanwhile, if a game dramatically changes based on ability but not on appearance, then ability will be more influential. We suggest that the game type, and more broadly, the type of platform being used, will impact the psychological needs and wants of the player which will determine the effects of customization. Regardless, more customization had more impact on the users. For practitioners, the salient traits of content should dictate what customization options are offered. An important finding was the role of identification as a mediator across studies. All three studies found that customization positively impacted attitude toward the game as well as likelihood of making a microtransaction via identification. In each study, customization led to higher perceptions of identification which in turn led to more positive attitudes toward the game and a higher likelihood of making a microtransaction. As a result, content creators should be concerned with ways in which identification can be enhanced. Within video games, the relationship between user and avatar is strengthened often because users assume the role of the avatar (Klimmt et al., 1999; Peña et al., 2009; Yee & Bailenson, 2007; Yee et al., 2009). This connection is pleasurable to the user (Cohen, 2001; Rubin, 2002; Zillmann, 1996; 2000) and there is evidence here that the user is more likely to merge psychologically with a character when the character is customizable. Given the definition of identification, “an imaginative process through which an audience member assumes the identity, goals, and perspective of a character” (Cohen, 2001, p. 261), it should not be a surprise that these studies highlight the idea that how a character appears is much more important than what a character can do. In other words, it is easier for a user to assume the role of a media character and psychologically merge with that character when they can customize the avatar’s appearance as opposed to its abilities. It appears that avatar customization is only as effective as the identification it engenders, and appearance customization is more effective in doing so than ability customization. 1. Similarly, prior experience with microtransactions could be a meaningful factor and should be considered in future studies. It was not included in this study and thus cannot be determined at present. Apperley, T. H. (2006). Genre and game studies: Toward a critical approach to video game genres. Simulation & Gaming, 37(1), 6 – 23. Baumeister, R. F. (1998). The self. In D. T. Gilbert, S. T. Fiske, & G. Lindzey (Eds. ), Handbook of social psychology (4th ed., pp. 680 – 740). New York: McGraw-Hill. Belk, R. W. (1988). Possessions and the extended self. Journal of consumer research, 15(2), 139 – 168. Briñol, P., & Petty, R. E. (2006). Fundamental processes leading to attitude change: Implications for cancer prevention communications. Journal of Communication, 56, S81 – S104. Cheong, P. H., & Gray, K. (2011). Mediated intercultural dialectics: Identity perceptions and performances in virtual worlds. Journal of International and Intercultural Communication, 4(4), 265 – 271. Cohen, J. (2006). Audience identification with media characters. Psychology of entertainment, 13, 183 – 197. Gray, K. L. (2012). Intersecting oppressions and online communities: Examining the experiences of women of color in Xbox Live. Information, Communication & Society, 15(3), 411 – 428. Hayes, A. F. (2015). Introduction to mediation, moderation, and conditional process analysis. New York, NY: Guilford Press. Hoffner, C., & Buchanan, M. (2005). Young adults’ wishful identification with television characters: The role of perceived similarity and character attributes. Media psychology, 7(4), 325 – 351. Kim, C., Lee, S. G., & Kang, M. (2012). I became an attractive person in the virtual world: Users’ identification with virtual communities and avatars. Computers in Human Behavior, 28(5), 1663 – 1669. Lea, S. E., & Webley, P. (1997). Pride in economic psychology. Journal of Economic Psychology, 18(2-3), 323 – 340. Leménager, T., Dieter, J., Hill, H., Koopmann, A., Reinhard, I., Sell, M., … & Mann, K. (2014). Neurobiological correlates of physical self-concept and self-identification with avatars in addicted players of Massively Multiplayer Online Role- Playing Games (MMORPGs). Addictive behaviors, 39(12), 1789 – 1797. Lim S. (2006). The effect of avatar choice and visual POV on game play experiences. (Unpublished doctoral dissertation). Stanford University, Stanford, CA. Nakamura, L. (2013). Cybertypes: Race, ethnicity, and identity on the Internet. New York: Routledge. Rubin, A. (2002). The uses-and-gratifications perspective of media effects. In J. Bryan & D. Zillmann (Eds. ), Media effects: Advances in theory and research (pp. 525 – 548). Mahwah, NJ: Lawrence Earlbaum Associates. Schreier, M. (2006). The value increment of mass-customized products: an empirical assessment. Journal of Consumer Behaviour, 5(4), 317 – 327. Smahel, D., Blinka, L., & Ledabyl, O. (2008). Playing MMORPGs: Connections between addiction and identifying with a character. CyberPsychology & Behavior, 11(6), 715 – 718. Valenzuela, A., & Dhar, R. (2004). Effects of preference elicitation task on consumer reactions to product customization. Paper presented at Association for Consumer Research. Weiner, B. (1985). An attributional theory of achievement motivation and emotion. Psychological review, 92(4), 548. Williams, K. D. (2010). The effects of homophily, identification, and violent video games on players. Mass Communication and Society, 14(1), 3 – 24. Wyche, S., & Steinfield, C. (2015). Why Don’t Farmers Use Cell Phones to Access Market Prices? Technology Affordances and Barriers to Market Information Services Adoption in Rural Kenya. Information Technology for Development, 1 – 14. Zillmann, D. (1996). The psychology of suspense in dramatic exposition. In P. Vorderer, W. J. Wulff, & M. Friedrichsen (Eds. ), Suspense: conceptualizations, theoretical analyses, and empirical explorations (pp 199 – 231). Mahwah, NJ: Lawrence Erlbaum Associates. Zillmann, D. (2000). Mood management in the context of selective exposure theory. In M. F. Roloff (Ed. ), Communication yearbook 23 (pp. 103 – 123). Thousand Oaks, CA: Sage. Ryan Rogers, Ph.D., is an assistant professor at Butler University where he teaches undergraduate courses in sports media and media production. He holds a BA from the University of Notre Dame, a MA from the S.I. Newhouse School of Public Communications at Syracuse University and a PhD from the University of North Carolina at Chapel Hill. His professional experience includes FOX Sports, ESPN, and the NFL Network. Ryan’s research interests center on the psychology of human-computer interaction. Laura Dunlow (M.A., Marist College) recently graduated with her MA in Communications from Marist College. Her diverse background includes work in education, political communication, and the non-profit sector. ← CDQ 6-2 is now live!